Hailed as southern Spain’s artistic, cultural and financial capital, Seville is the capital of both Andalusia and the province of Sevilla. 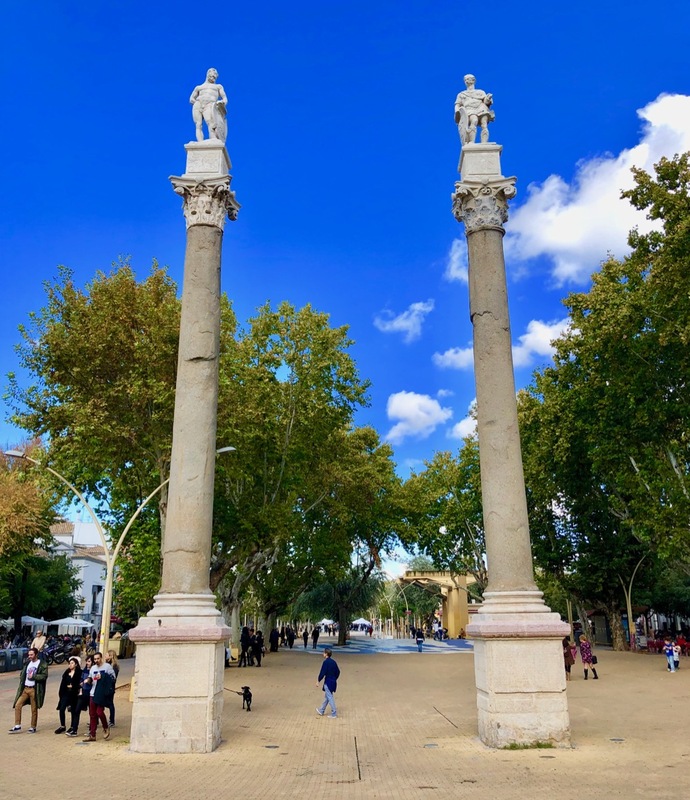 The city has a long history dating back to ancient times, when it was originally called Hispalis, while under Roman control, it was renamed Romulensis. Today Seville is a modern city and Spain’s fourth largest metropolitan area. 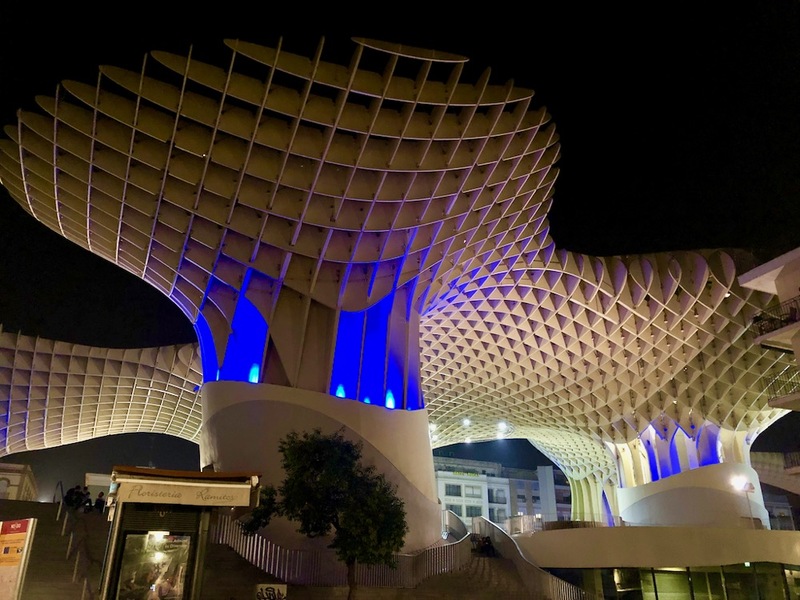 Here is a selection of the best places to explore, dine and stay while spending time in the vibrant city of Seville. 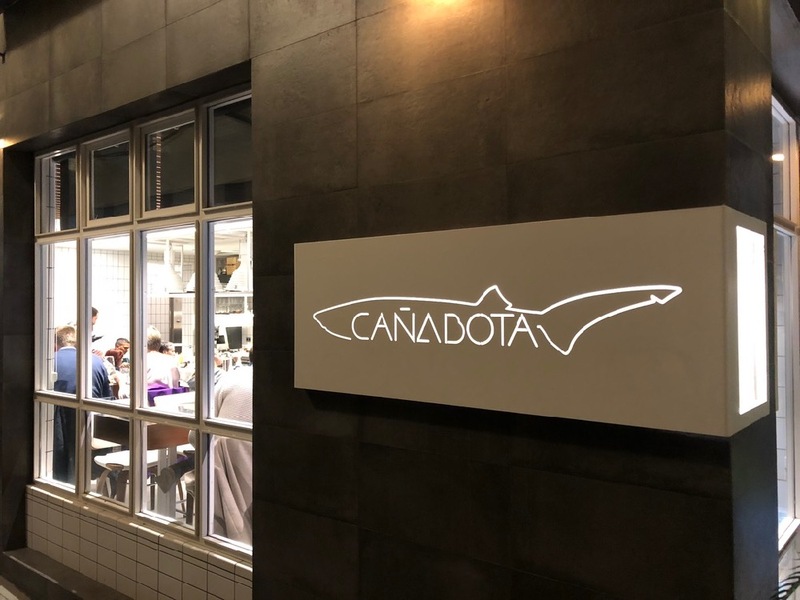 Lovers of fresh seafood dishes will not want to miss the chance to dine at Canabota, which can be found in the heart of Seville and was opened in 2016 by Juanlu Fernandes. While the dishes here tend to be on the gourmet side, dining is a more casual affair and diners are invited to sit at the counter so that they can watch as the talented chefs perfectly prepare the fish and grill it. Diners are greeted with a huge display of fresh shellfish and fish and diners will want to make sure that they bring a hearty appetite so that they can sample several different dishes. Some of the celebrated signature dishes include the complimentary cold fish soup with fresh lemon foam, onions and seaweed, delicate white prawns with sliced mushrooms, hot fish soup with tempura rockfish and corvine served with Swiss chard, boiled potatoes or Padron peppers. Located at Amor de Dios 7, Casaplata features a futuristic design that is sure to appeal to hipsters who are looking for a trendy place to dine in style. The restaurant specialises in traditional Spanish dishes that are embellished with a contemporary twist as well as plenty of flare. One dish that attracts both tourists and local people alike is the celebrated smoky roasted octopus that is served with wild rice, while those who are searching for something meaty to sink their teeth into can try the empanadas that are stuffed with bull’s tail. It is definitely worth saving room for dessert as there are plenty of imaginative sweet treats that are just waiting to be enjoyed. Visitors can enjoy a true taste for Sevillian food by eating tapas, since the opportunity to try a wide variety of dishes is available in a single sitting. 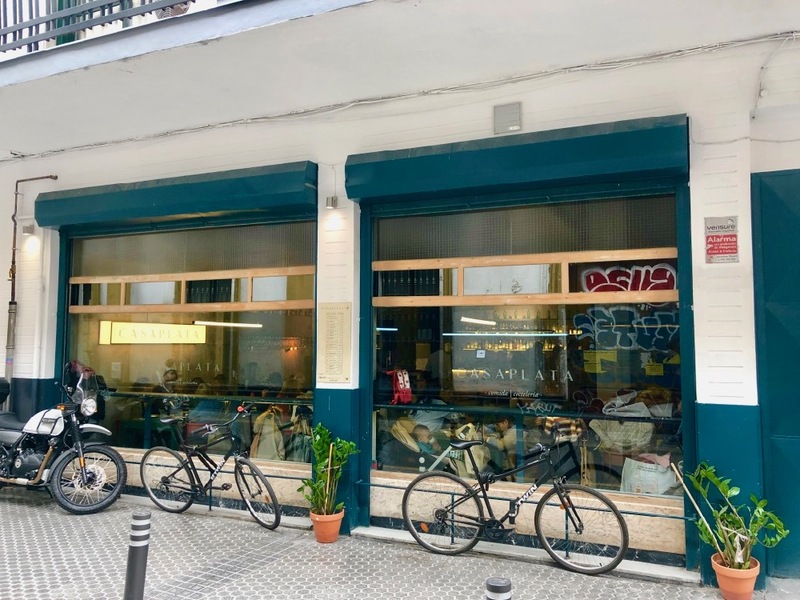 People who want the chance to embrace true local dining are sure to love the tapas restaurants that can be found in Alameda de Hercules Square. For those not already in the know, tapas consists of light bites that are ideal for sharing and one of the great things about this type of dining is that food lovers will get the chance to sample a large number of tasty treats. The best way to take full advantage of this type of dining is to grab a table that can be found on the edge of the square as visitors will also be able to indulge in a spot of people watching as they sink their teeth into a range of tasty classic tapas dishes. Wine is traditionally served alongside tapas dishes and other Sevillian favourites and is generally cheap and of reasonable quality. Located just across the square from Christopher Columbus’ tomb, Alcazar Palace is quite beautiful. 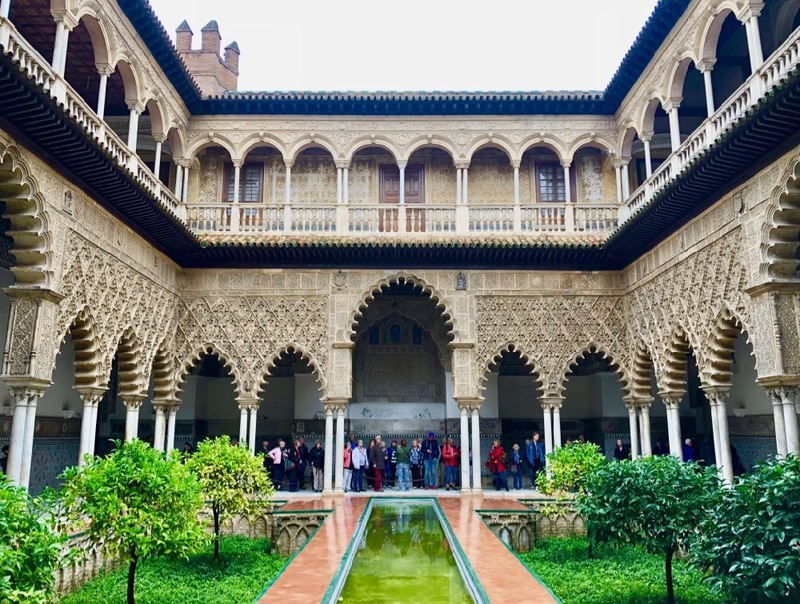 The palace was built in 913 and King Alfonso and later Queen Isabella ruled the whole of the Iberian peninsula from the Palacio de Don Pedro that can be found within the palace and the grounds feature excellent examples of Moorish decoration. Guests will also want to make sure that they allow plenty of time to explore the magnificent tropical garden, which boasts plenty of shady spots to unwind while soaking in the surrounding natural beauty. 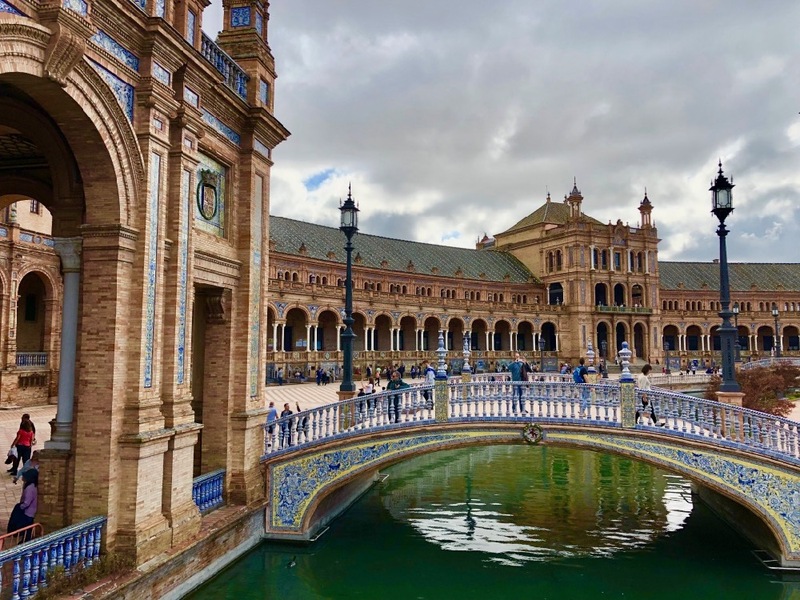 The Plaza de Espana is another grand edifice with a crescent-shaped facade and some beautiful mosaics, and fountains in the large open area in front. On a smaller, more human scale, the Barrio de Santa Cruz has narrow, winding streets which offer glimpses into the courtyards of local houses. The photogenic façade of the grand Plaza de España is one of the city’s favourite relaxation spots and this large and lovely square comes complete with spouting fountains and mini-canals in the ‘parque’ fronting it. Of the many churches that can be found in this part of the city, the Basílica de la Macarena is by far the most famous. The Museo de Bellas Artes, which is also known as the Fine Arts Museum, is the most notable of the city’s many excellent museums. People who want to gain an insight into contemporary Seville should pay a visit to Metropol Parasol, which is known locally as Las Setas de la Encarnación in recognition of the fact that this interesting and unusual structure resembles a cluster of mushrooms. 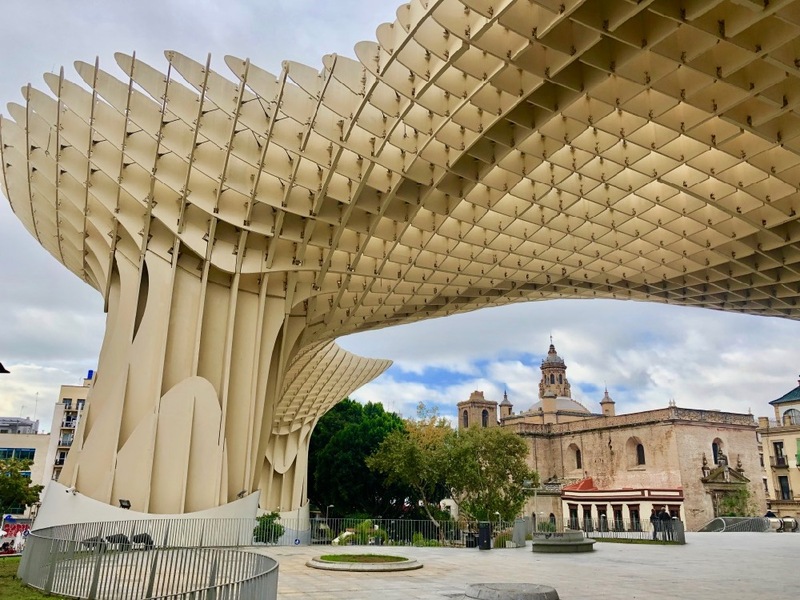 There are six different mushroom-shaped parasols set on four levels and the design was inspired by the historical vaults of Seville Cathedral as well as the ficus trees that can be found in Plaza de Cristo de Burgos. A large Antiquarian can be found in the underground where visitors can view a large collection of Roman and Moorish remains. A public plaza is set at street level and this spacious area is often used to host special events, while the second and the third levels are set with several excellent restaurants and provide visitors with stunning views of the city centre. 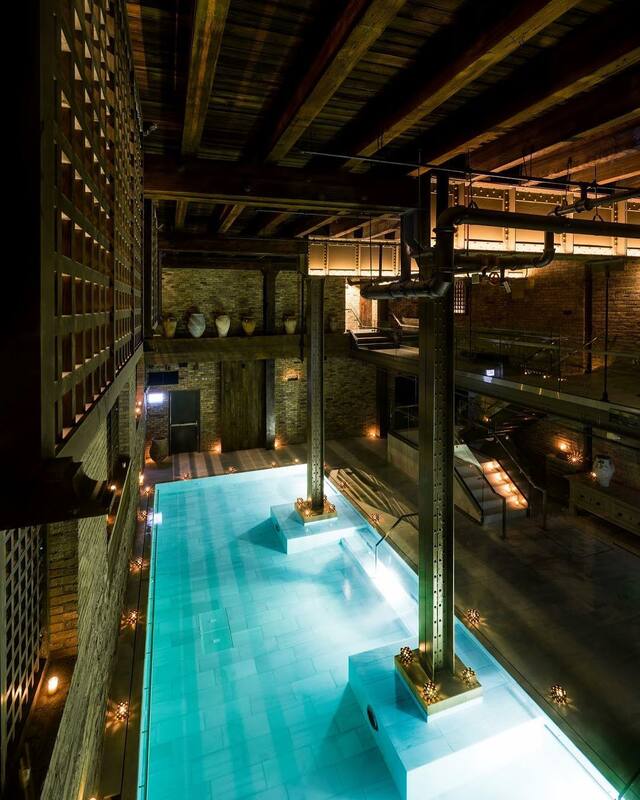 Set just a few steps from the Catedral de Sevilla in the vibrant Santa Cruiz neighbourhood, the Aire Ancient Baths offer visitors the chance to unwind in style and indulge in a little pampering while also soaking up some of the city’s rich history and culture. Visitors make their way through the grounds of a magnificent Mudéjar-style palace that boasts more than five centuries of history. Visitors are guided by candlelight across the Andaluz-style courtyard to a large number of stunning bath rooms that are filled with water at different temperatures and are found distributed throughout the palace. Visitors can lay back in their own private hot tub while they receive a relaxing head and shoulder massage, while there are larger bathrooms that are designed for couples to share and others where visitors can swim laps if they wish. Floating on top of the surface of the thermal baths is a truly relaxing experience, while visitors are offered a range of treatments that are sure to make them feel fantastic from head to toe such as hot oil massages, facials and body scrubs. 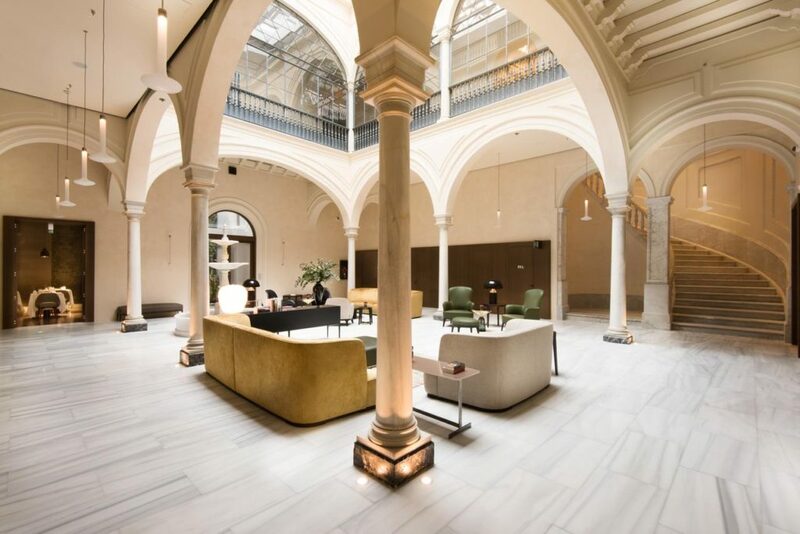 Set in a nineteenth-century palace in the lively El Arenal district, this twelve-room hotel is four minutes along a narrow cobbled street from the Plaza Nueva metro station, and slightly further to the cathedral. Rooms have all amenities, with some boasting balconies, or terraces complete with orange trees. Other facilities include a rooftop bar next to a plunge pool, and an on-site restaurant and cocktail bar. A lounge area is overlooked by a traditional courtyard and fountain, featuring the original marble spiral staircase in one corner. 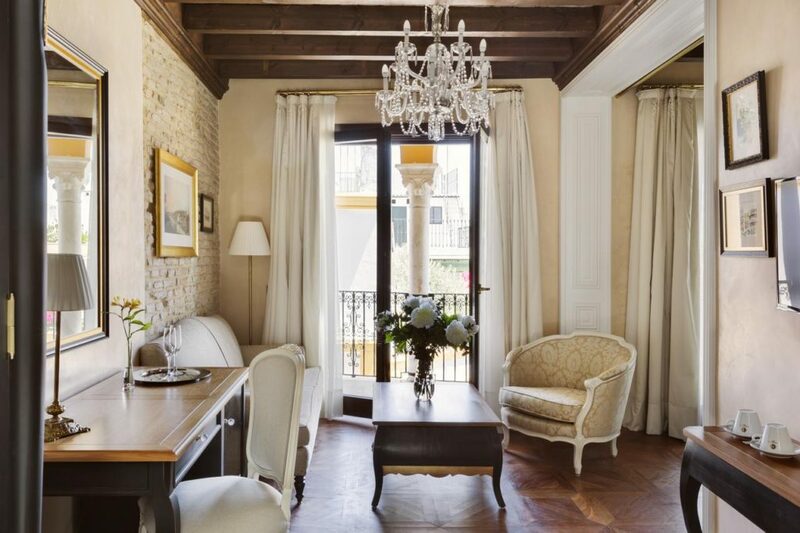 Superbly situated in the historic Jewish Quarter of Santa Cruz, with the Giralda as a backdrop, this family-friendly converted mansion is an ideal starting point for flamenco clubs, tapas bars and the main shopping drag. The Flamenco Dance Museum is a must-see before you take in a show at La Casa del Flamenco. The Casa 1800 Sevilla has individually-decorated rooms sport hand-carved furniture, marbled bathrooms, and all facilities, while suites have terraces and outdoor Jacuzzis. Chandeliers light up the elegant public areas and the central patio. The rooftop salt-water pool carries a reflection of the bell tower, and boasts amazing vistas. 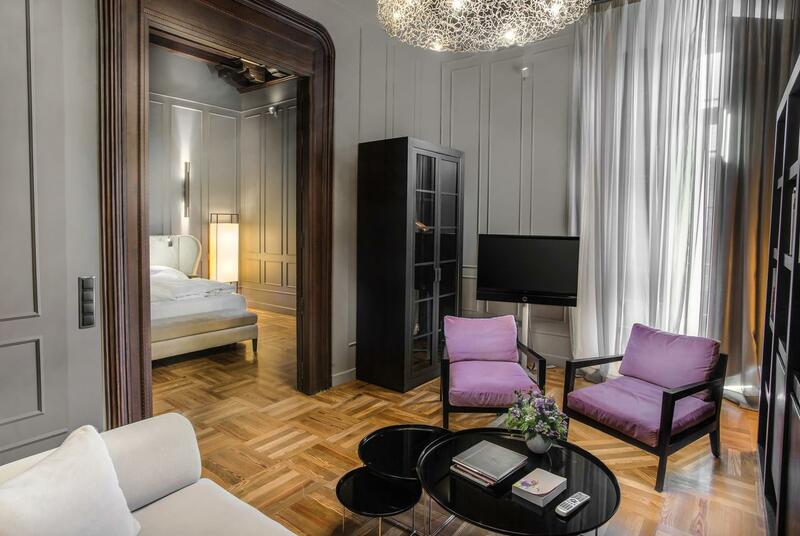 A de luxe establishment in an eighteenth-century palace, the hotel’s bedrooms benefit from high ceilings and wooden floors. Amenities are in keeping with its five-star rating, while upgrades feature sitting areas, or suites with living rooms and iMac computers, with some rooms having balconies and views over the city. 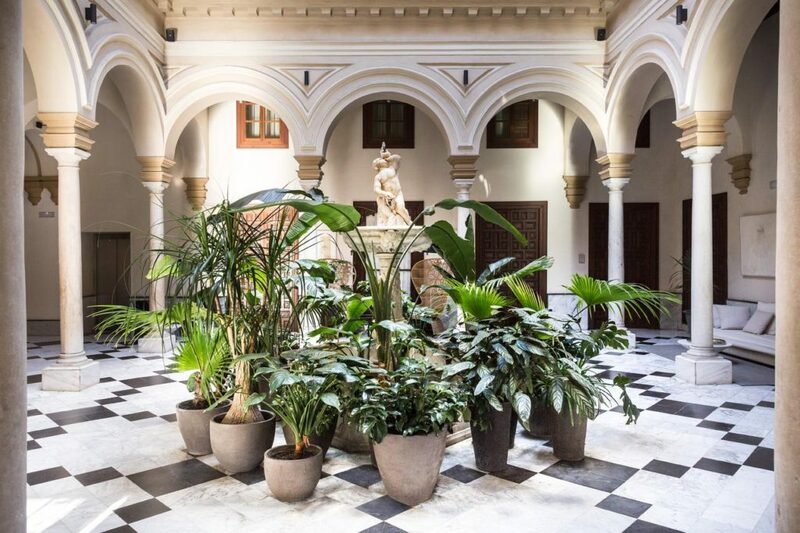 Clients can take advantage of the wellness facilities, including a steam bath and a gym, and then relax in one of three typically-Spanish courtyards. 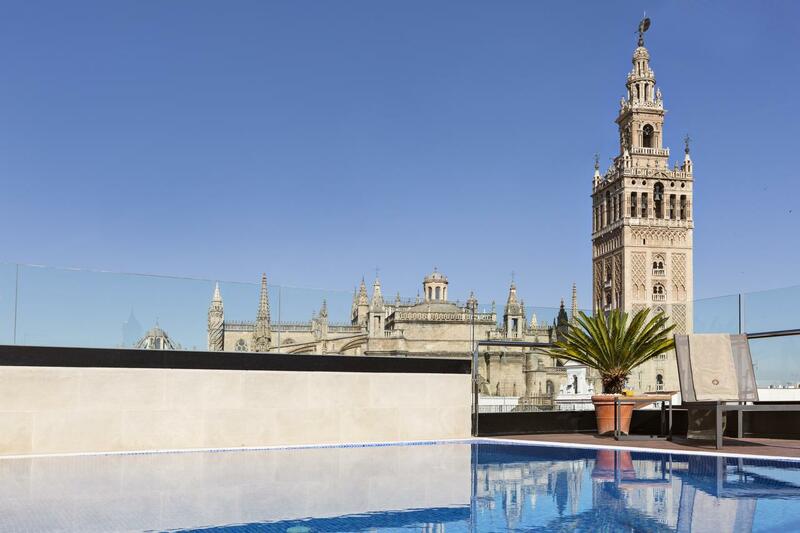 Or take a dip in the rooftop pool and enjoy the sight of the near-by Giralda.